The coolest man on this planet! 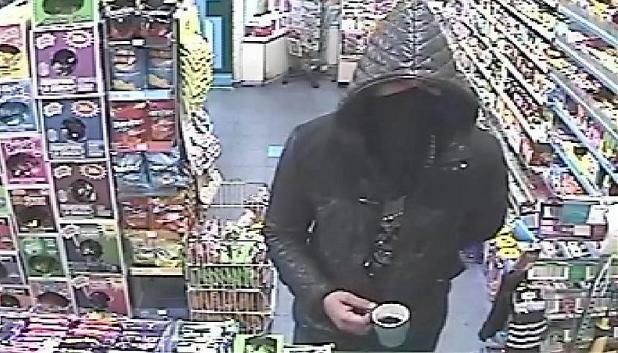 A man robbed a newsagent - Armed with a cup of coffee. The masked raider walked into the shop holding a mug of black coffee in his right hand - then told the sales assistant to empty the stock of cigarettes into a binbag. 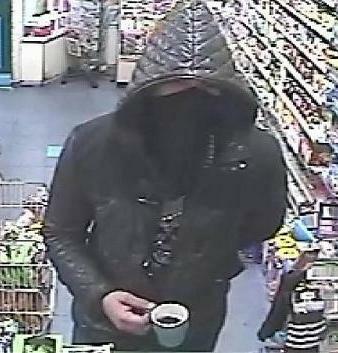 He also stole cash during the raid at the Oasis News store in Woodhouse Park, Wythenshawe, Manchester before walking out. The man disguised himself in a bandana and a hooded jacket but his accomplice didn't cover his face, despite security cameras recording the 10.45am hold up. Yesterday, Greater Manchester Police issued CCTV of the men during the raid and said both robbers were ''clearly nonchalant''. Shop assistant Mubin Najib said despite the casual nature of the men, he had felt threatened: ''I noticed the guy carrying a cup of coffee but I was more worried about the way he was acting. ''I actually thought he had a knife with him and he making threats saying: 'Don't move or tell anyone otherwise we will come back and kill you'. ''I had been working since 6am and I remember them coming into the shop at about 11am and one placing a binbag on the counter and demanding cigarettes. 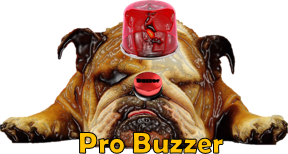 ''The guy with a coffee actually came round the counter and I was very frightened. He may have been carrying a cup of coffee but I was on my own in that shop and had no idea what he was capable of. Police said the two men handed a bin bag to a cashier and demanded he fill it with cigarettes and tobacco. In total four bin bags were filled with cigarettes and tobacco. The men also stole cash from the till. Police released the CCTV in a bid to trace the men. Det Con Matthew Farrell, of West Didsbury CID, said: "We have carried out a thorough investigation into this incident and while we have charged two people, we now need to trace the two men in the CCTV. "These two offenders are clearly nonchalant in their attitude to this crime: one has made no attempt to conceal his face and the other is casually carrying round a hot drink. "Someone will almost certainly know who they are."